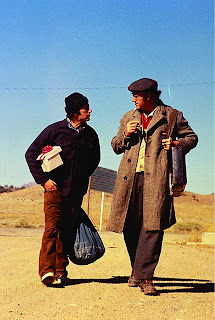 A low-key road movie and an in-depth character study, Scarecrow is a fascinating examination of an unlikely friendship between two men from opposite ends of the wrong side of the tracks. Gene Hackman and Al Pacino deliver magnetic performances, transforming distasteful bums into sympathetic if broken humans. Two hitch-hiking drifters meet by the side of the road. Francis Lionel Delbuchi (Pacino) is good humoured, positive about life, and travelling to Detroit in the hope of seeing his five year old child for the first time. Max Millan (Hackman) is a recently released convict, rough, burly, and intense, and on the way to Pittsburgh in the hopes of starting a car wash business. The two men agree to travel together, and Max suggests to "Lion" (as he decides to call Francis) that they become business partners in the car wash venture. Max's short temper lands him in frequent trouble, and as they travel across the country, mostly by hopping onto freight trains, Francis takes on the role of softening Max's edges. They make a stop in Denver to visit Max's sister Coley (Dorothy Tristan) and her friend Frenchy (Ann Wedgeworth), who is immediately attracted to Max. A night of drunken partying results in a short stay at a prison camp and a rift between Max and Francis, but this proves to be only the start of series of unexpected obstacles on their tortuous adventure. 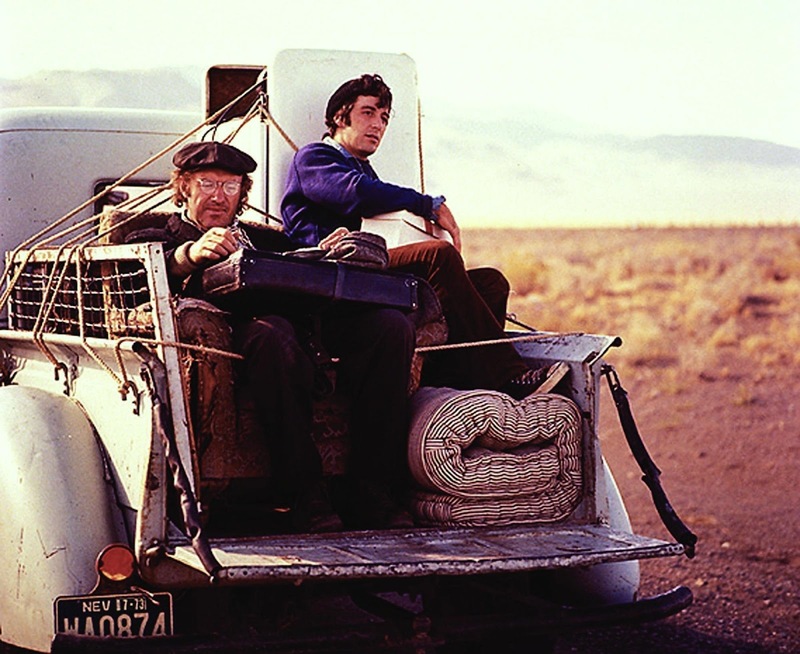 A prototypical 1970s movie, filled with the emptiness of lives lost, Scarecrow hits all the melancholy notes. The pace sometimes drops to a stand-still, and the boorishness of Max is occasionally tiresome, but Scarecrow offers a fascinating study of humanity's struggle to always improve despite the odds. Francis and Max have clearly made all the wrong choices so far, Francis ending up estranged from his wife and an absentee father to a child that he has never met, and Max landing in jail for a six year stint. Francis' optimism stands in stark contrast to the reality of a man who has to hitch-hike to see his child, while Max's obsessive self-belief in his detailed but pathetic business finances does not hide the fact that even his sister knows him to be dim. 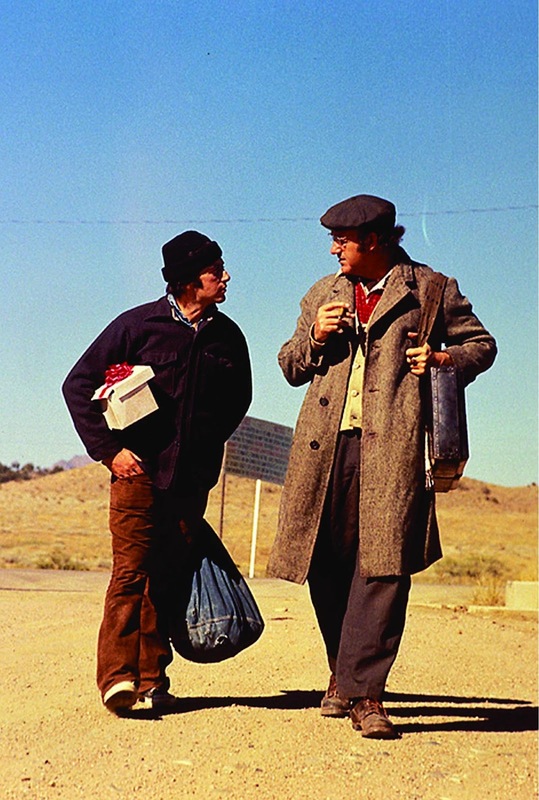 Hackman and Pacino both deliver stand-out performances, the contrasting personalities of Max and Francis allowing the two actors to bounce off each other without competing. Francis quietly provides the calming influence to Max's blood-boiling temper flares, Pacino significantly more understated than his later, more temperamental roles. Hackman plays Max as larger than life, wearing too many clothes, thinking too highly of himself, too quick to resort to violence, and too hasty to fall in love, but also providing the energy and initiative to reach successive destinations. Written by Garry Michael White and directed by Jerry Schatzberg, Scarecrow gives both Francis and Max individual emotional quests to pursue. Francis will have his optimism tested severely, and he will be surprised by the outcome of his ability to influence Max. Conversely, Max is on a path to discover the pleasure of taking detours and altering seemingly rigid plans, and despite himself he will experience the benefits of self-depreciation. With intimidation and humour crossing paths in opposite directions, the different aspects of the scarecrow metaphor will surprisingly apply to both men. 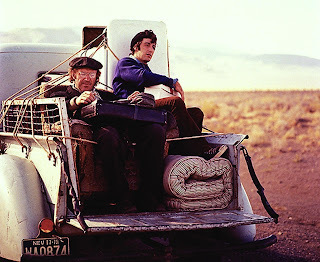 Neither Max nor Francis will end up where they expected to be, but in Scarecrow as in all good road movies, the rich journey supersedes any planned destination.